It has come to my attention recently that I've been remiss in not putting an explanation for my journal at the front, so I have pinned this post in the hopes that anyone who comes to this journal will see this first. I have been a lifelong fan of Doctor Who ever since the time when at 5-years-old I watched The Seeds of Doom. Doctor Who immediately replaced Star Trek as my favorite TV series and it has been so ever since. I'm an American and watched Doctor Who on my local PBS station, which meant that within the span of a few years I had seen all of the Doctor Who then available. This included everything from William Hartnell through Colin Baker. It became obvious to me when they showed the Hartnell and Troughton years that something was missing and I did some research and soon discovered that some episodes had been wiped. This started my quest to find the novelizations for all of those stories, which also resulted in me finding and reading a lot of the novelizations for existing stories as well. Eventually, I moved from Florida to South Carolina where they no longer showed Doctor Who. I was ten at that point and it was a struggle to keep my addiction fed. Thankfully, the VHS releases started coming to America around this time and I soon set up a policy with my parents wherein if I received a good report card we would order one of those stories (nowhere in SC in those days actually carried Doctor Who videos at the store). I also kept up with the novels known as the New Adventures, which started around that time. Those stories carried on from Survival and gave us the continuing story of Doctor Who. However, becoming a teenager meant that by around the time that I turned 14 my interests were divided. I still considered myself a fan of Doctor Who but other than watching my VHS tapes occasionally I didn't really do much with it. Then when I turned 16 the TV movie came out and although it has its problems I credit it with rekindling my love and interest in Doctor Who. After that I bought all of the New Adventures and Missing Adventures and caught up and I stayed caught up with the books until they were cancelled. I also started listening to the audio adventures from Big Finish when those came out. I was ecstatic when the New Series was announced and couldn't wait to see new Doctor Who. Unfortunately it didn't live up to my expectations. In my opinion the quality of story telling was far worse than that of the novels and audios, so I stopped watching that with Journeys End and continued with the novels and audios. Yet once the 50th anniversary came it seemed sad that I wasn't doing anything related to it, so I decided to start this blog. This blog is an attempt to examine Doctor Who on a story by story basis starting with the TV series and the audios from Big Finish. Eventually this may also expand to the novels but those are far more time-consuming to review, so I'll start with this first. These reviews will contain my opionions and observations on these stories, which will hopefully be different from what I term "fan orthodoxy" which you can find in many of the guidebooks. I hope that this will help both long-time fans of the series as well as people who are just beginning to look at the classic series of Doctor Who. To further help that latter group, I've included a final rating and recommendation section to each entry. This will tell them how good the story is and will also tell them where I think that it's something that needs to be watched or listened to or not. I'm always looking for feedback, so if you have any please let me know. There are many ways to sort the Big Finish Adventures. I will do this by sorting first by the Big Finish range that the story falls within. I will then sort chronologically by the season of the TV series in which the story falls. In some cases these are guesses and I will be a 'c' next to those stories. The names of either the narrators or the characters involved in the story will be listed in parentheses after the story. Blurb: "Pray welcome, one and all, to this, a fantasy in two acts, presented, most humbly, for your pleasure. We bring you drama and magic, angels and demons, a tale of mysterious plague... of nightmares made flesh... of a war fought both in this world and those immeasurably distant. A war, in fact, fought through the mists of time itself. It will make you gasp! It will make you weep! It may even make some of you wake-up..."
Format: Limited-cast audio drama, a Companion Chronicle from the point-of-view of Polly Wright. Published by Big Finish Productions and released June of 2017. Setting: Wild Heath, England, Earth: Late 16th century. The exact date is never specified, but it's sometime after Shakespeare has started writing plays. Polly narrates the story from a point slightly after parts of it have happened. Continuity: This story takes place between "The Smugglers" and "The Tenth Planet". Polly mentions that they encountered pirates no too long ago (see The Smugglers). The Player says that the first Doctor's timeline has been compromised (see The Bonfires of the Vanities). He also mentions that the Doctor needs to go on to the South Pole to "die" (see The Tenth Planet). Discussion: What a delicious conceit this story has. I'm already a fan of Elizabethan times and Shakespeare in particular, but I don't think that a framing sequence in one of The Companion Chronicles has been this fun since "The Suffering". It's a very meta story, but that's the point. In many ways it reminded me of "The Greatest Show in the Galaxy" and for a moment at the beginning I wondered if they weren't performing for the Gods of Ragnarok. But I loved the whole idea that Polly must perform an episode of Doctor Who for a live studio audience. Her confusion was endearing, and the Player was enigmatic and fun. Substantially, there isn't much to this story. The travelers arrive. The locals have succumbed to an illness that causes them to sleep while their dreams manifest physically. The travelers start to succumb. Some lethal dreams arrive. Polly saves the day. Without the framing sequence this could have easily been in the Short Trips range. The play gives it substance while also speaking to the artifice of what Big Finish audio drams are really trying to do, how they try to wrap us up into a fictional world where we no longer see the divide between the reality and fantasy. That part was really fun and while the main story was a tired, old, predictable cliche they at least made it interesting through the framing sequence. Characterwise there isn't much going on. Polly's brave and lets the Player mess with her mind without any real understanding or assurances about what's going to happen to her. Ben's not around for much of anything, although the fact that he dreams about pirates is a funny nod to his nautical background. The Doctor's supposed to get some development here with "The Choice" that producer Ian Atkins talks about in all capitols. The problem is that there isn't really a choice. They've already established that the Doctor is at death's door anyway. Either he dies at the South Pole or somewhere else. It's not like he has a good number of years left either way. All the talk about making him more heroic is silly. I always liked the fact that the first Doctor just happened to die. He didn't need a big, dramatic event around it. He'd just come to the end of the line. That combined with the whole need to shoehorn the Time War in just to justify a gap that's no stranger than other gaps that Big Finish has used just leaves a bad taste in my mouth. Thankfully, the fun of this story does a lot to ameliorate that, but it is annoying. The performances this time were fun. Anneke is clearly having a blast playing all the roles. Some of her 16th century village characters were amazingly fun, and some of her cackling and other sounds for the hallucinations were even better. The only issue that I took this time is that her first Doctor seems to waffle between Patrick Troughton and Hartnell. I realize that being a companion on a cusp of two Doctors must be difficult, but it was distracting. Chapman, on the other hand, puts in a tour de force. He gets to play The Player, Ben, the Doctor (once or twice), and many of the local characters. Chapman really gets to show his versatility here, and it was wonderful to hear all the various voices that he can play. I really enjoyed The Player who fits in so well with a Shakespearean performance while at the same time hiding depths to his character. I don't have much to say about the production this time. The hollow sound that I noticed in "The Bonfires of the Vanities" isn't present here, which once again makes me wonder if the prior story had been recorded somewhere different than normal. The sound effects in this one were good. I loved the stage effects and the robots were as cheezy as a story this crazy should be. Yet, a lot of the effects this time were done with voices, so I don't have a lot to say in this regard. It still sounded professional and fantastic. I actually wish that we'd gotten to hear about the sound design on this one, but it's the only one of this series of Companion Chronicles that doesn't include an interview with the sound designer. Recommendation: A fun, meta story that examines how the act of performing creates a reality for the audience. There are some wonderful performances, some fantastic dialog, and great effects which will keep you from noticing where the story frays around the edges. I definitely recommend listening to this one. Blurb: When the Doctor, Polly, and Ben arrive in Lewes in the late 1950s, they’re just in time to celebrate Guy Fawkes’ Night. But there’s no fun on the streets tonight – the town is in the grip of fear. There are imps on the loose in Lewes, the Bonfire Boys are on the march, and nobody is safe from the fire. Format: Limited-cast audio drama, a Companion Chronicle from the point-of-view of Polly Wright and Ben Jackson. Published by Big Finish Productions and released June of 2017. Setting: Lewes, England, Earth: November 5, 1950's. The exact date is never specified. Polly and Ben narrate this story from an unknown time and place in the future. Continuity: This story takes place between "The Smugglers" and "The Tenth Planet". While still in the TARDIS, the Doctor mentions that there's quite an arctic storm outside (see The Smugglers). Canonicity Quotient: Big Finish goes through a lot of effort to create a justification for this gap when the simple answer would be to either set the first adventure with this group somewhere else that's cold (either the North Pole or an alien world) or to just have it that the TARDIS systems weren't working properly. The whole temporal distortion explanation is unnecessary and doesn't really feel authentic to the era, especially since plenty have used this gap in the last 17 years or so. No discussion by Ben or Polly that they're only a few years out from their own time seems odd, but just about possible since they've only been traveling with the Doctor for a short time. Discussion: To say that I've been looking forward to this for a long time would be an understatement. Ever since I heard about The companion Chronicles I've wanted them to do a story with Polly and Ben with the first Doctor. There's a lot of ground to explore there, and it's easy enough to wedge a gap between "The Smugglers" and "The Tenth Planet". The Short Trips story "Fallen" was just a taste. This was the main course. Thankfully, it did not disappoint. So, for me, so much of this story hung on the performances. It's wonderful for Anneke to narrate, and I really enjoyed her first Doctor. I think that she easily beats Jean Marsh and Maureen O'Brien on that score putting her about at the same level as Carole Ann Ford. I was surprised by the level of care that she took with it. For all the talk that we've heard that she didn't like him at the time, she's definitely able to channel the same kind of admiration into her performance that's so evident when Ford, Russell, or Purves have to perform as the Doctor. She's also a delight as the local Librarian, who's so matter-of-fact and unphased by everything that she's a real joy to listen to. Not to be outdone Elliot Chapman puts in his own strong performance as Ben. As usual, it's apparent how much work he puts into recreating Michael Craze's performance. He even mentions on the extras that Craze performed Ben slightly different in the earlier episodes, and it's that slightly different performance that he gives here. What's an amazing and new treat is his performance as The Doctor. I've long said that while Purves is good and has the mannerisms down that I don't like his Doctor as much as William Russell's. So much of the first Doctor's personality comes from a tone of righteous indignation that Purves' impish style just can't convey. Purves' Doctor sounds silly and ineffectual anytime he's supposed to sound angry and imposing. William Russell captures that essence of the first Doctor. But Chapman in some ways put them both to shame. I think that this is by far technically the best first Doctor performance that we've had yet from Big Finish. Whereas, I think that Russell and Purves are giving their own performances as "The First Doctor", Chapman is giving a performance of William Hartnell. It's a subtle difference, but it means that he sounds closer to the original than anything that we've had yet. I loved it. His Doctor sounds so Doctorish, and I'm glad that he was allowed to deliver the denouement. On one level, I do wish that we'd had some context as to why these stories were being narrated. I find that the best Companion Chronicles have a framing sequence, but at least there's reason for Ben and Polly to be narrating together, since "Fallen" established that they get married, but the performances were so good that I can overlook it. The plot wasn't really all that great. There wasn't much character development to be had. Once again it seems like The Companion Chronicles are just going the route of shorter Early Adventures with less of a cast. I really feel like including a framing sequence would help in that regard. The most interesting character in this one was the local librarian. I loved that she referenced that she both read and wrote science-fiction, which I thought was fantastic. The atmosphere was fantastic, and McCormack does a fantastic job of weaving together a mysterious tale that pokes at hidden fears and all-to-common ones. Unfortunately, at the end it just fizzles. We're supposed to believe that a creature who's been plotting revenge for over a century had no better plan than to scare everyone and hope they all killed each other? When he talked about everything burning I thought for sure that he had a bomb or something. Instead, as soon as he reveals himself the humans all gang up on him again and he runs away. I understand that the message was one of paranoia making people do things that they shouldn't, but it was still kind of a let down at the end. Regardless of what started things, one hundred years of hatred just doesn't go away overnight. The production was also a bit of a let down this time. I don't know if they recorded this one at a different location or what, but there was a hollow sound to a lot of the voices, like you could hear that this was a recording. When Anneke or Elliot were narrating it seemed to go away, but everything in the story had that quality to it. Because it was so specific I'm not sure if it was deliberate or not, but it sounded jarring. The music and sounds, though, were up to there regular quality. I really love that they're letting the composers and sound designers talk on the extras now, because I enjoy hearing about the process that they use to work. The "fragile" music really helped to sell this one, and I really enjoyed listening to it. 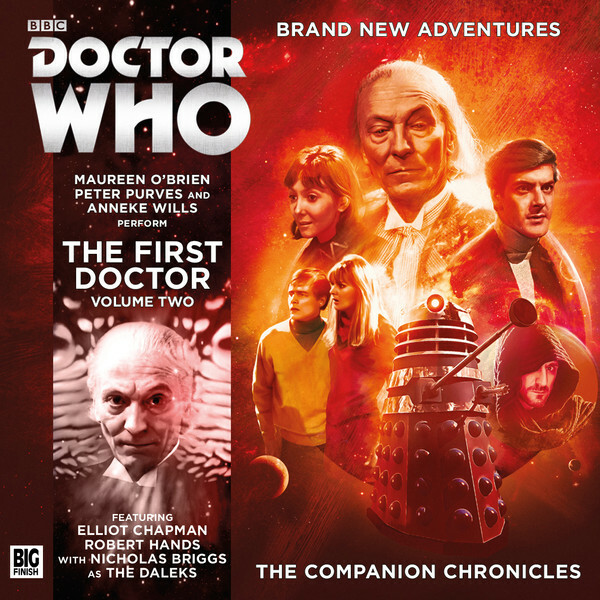 Recommendation: A fantastic first tale for the first Doctor/Polly/Ben Companion Chronicle trio. The performances are fantastic and really prove why this team needs to have more stories. The story helps to keep the tension for most of the story, but fizzles at the end. The sound design is also a mixed bag with fantastic sounds and music but a little bit of a lapse in the quality of the dialog. Overall, though, this one is far more of a success than a failure, and I highly recommend that others listen to it. Blurb: On the planet Shade, The Chaons, an invading race of strange, amorphous creatures that ravenously absorb energy, have reduced the city there to a desolate ruin. Separated from the Doctor and Vicki, Steven has to join forces with an unexpected ally to find his way back to the TARDIS. Ahead, lies a nightmare journey through the dark - a test of endurance and trust. Format: Limited-cast audio drama, a Companion Chronicle from the point-of-view of Steven Taylor. Published by Big Finish Productions and released June of 2017. Setting: The planet Shade, time unknown. Steven narrates the story at an unknown time afterwards. Continuity: This story takes place between "The Time Meddler" and "Galaxy Four". There's no indication of when it's set with regard to other stories set in the same gap. The story ends up by setting up the Dalek Emperor's plot to discover The Human Factor (see The Evil of the Daleks). The Daleks scan the prisoners to see if they'll be suitable for robotization (see The Dalek Invasion of Earth). Discussion: I knew from the beginning that this one was going to be about Steven and a Dalek working together to survive. I have to confess that when I first learned that I was a little annoyed. A story about Steven trapped on a planet with a Dalek sounded great if it were set between "The First Wave" and "The Massacre". This seemed like a wasted opportunity. Give Steven some real baggage and hatred for the Daleks after they'd been responsible for the deaths of three of his friends and there could be some real meat to this story. Vicki hardly figures into the story and is only namechecked to show when this story takes place in the Doctor's timeline. Ultimately, though, I think that it works where it fits. The story relies on Steven being a little more optimistic and charitable towards a Dalek then I think that he would be post-Masterplan, which is fine because this story is great. If I'm going to fault the story on anything it's the fan-wankiness of the ending. So the Daleks sent three of their number down to a planet to see if any survived and if that one did then they get to be Emperor? They don't consider the fact that statistical anomalies may favor one candidate over another? Why are they purposefully manipulating their own genetic code anyway? Davros did that, but the core Daleks never did. It just doesn't seem right. It also seems a little too cute that a Dalek becomes the Emperor because of the actions of one of the Doctor's companions. It leaves a bad taste in my mouth that could have been avoided by leaving the epilogue out entirely. The scenes on Skaro seem out of place anyway because Steven doesn't narrate them. When we get so few Companion Chronicles every year, I wish that they'd stick to the idea of them. These are tight, personal tales told by the companions about an important event in their own lives. Outside material can only take away fro that. I really hope that the next installment is a little more traditional, but I have a feeling that with their linking Time War theme that they won't be. The thing is, the main story on this one is fantastic. It works because the story continuously pivots on Steven and the Dalek's relationship. Both could double-cross the other. Both take turns doing things suspiciously, but you think because you know that Steven survives that somehow this alliance will work. You think that this Dalek's genetic variance will give it a conscience or something similar. What I like is that David Bartlett capitalizes on the Whitaker characterization of the Daleks. 210 thinks ahead. It knows what it needs and will act how it needs to to survive. It makes the whole thing tense and thrilling. The Chaons are a throwaway, there to provide a peril and nothing more. They seem to have missed a trick by not making the creatures The Mim, since they're pretty much the same thing, but oh well. I also really adore that both "Shade" and "Chaons" sound like such Terry Nationish names. I also love how tight the story is. Once the first few minutes are out of the way and until the last couple of minutes, it is just Steven and a Dalek. There's no need for Purves to try on a bunch of funny voices. He just needs to play Steven and do the narration. First off, Purves maintains his excellent narration. The man is a master of the craft, and it's always a joy to listen to him. Unfortunately, age is starting to creep up on him. For years I've given him praise on sounding just like his twenty-something year old self in each Companion Chronicle that's finished now. As a narrator that's fine, but Steven is starting to sound like a much older man. It's disappointing, but he still sounds closer to his old self than some others who work on the range, so it's ok. It's just disappointing that one of the few exceptional performances is starting to falter. The script, though, definitely gives him a lot to work with and as an actor he definitely rises to the occasion. Steven gives a speech about the Daleks that would normally be reserved for the Doctor and Purves handles it with relish, chastising the evil of the creatures. The nice thing is that the script allows him to do a turn, though, and actually care about the Dalek. There's a scene where he thinks that it's dead and you can hear his frustration and anguish over the death of his only companion on this world. It's a great story for Steven as a character and Purves as an actor to show their range. The production is great. Nick Briggs does a fantastic voice as a Dalek. There's also some nice, tense music to help heighten the action as the Dalek and Steven must outrun the Chaons and get off the planet. The sounds are great. I particular like the sound of Steven pushing the Dalek. The squeaky wheels make you ache with sympathy at how much Steven must be straining to push the thing for so long. The Chaons sound like recycled Mim sounds, but they work well enough. I also really appreciated that we have the authentic 60's Dalek extermination sounds although I wish they'd added in the sound of their blasters opening and closing repeatedly. That omission makes the sound feel unauthentic when in fact the sound of the extermination itself is just fine. If I'm going to pick one more nit, it's that Bartlett said in an interview in Vortex that this story takes place very early in Dalek history when they're just getting into space. Yet, these are Daleks that already have intergalactic travel and transmats that can beam them across those distances. It makes you wonder why they have ships at all when they can just beam behind enemy lines to exterminate at will. Also, what happened to Chaons absorbing all kinds of energy. The transmat must use a lot. Why they haven't they drained its power long ago? Something seems fishy about that side of things and next to the epilogue it's my biggest problem with the story. Recommendation: A wonderful, tense, psychological tale that will have you guessing which way the story will go from beginning to end. There's a major plot hole, and a fanwanky epilogue, but this story will still keep your captivated with the fantastic scripting, great characterization, and wonderful performances, music, and sounds. This is definitely one of the standout stories of the entire Companion Chronicles range. I definitely recommend it. Blurb: The TARDIS arrives on a moon-sized asteroid orbiting two gas giants. With an amazing view, it’s a chance for the Doctor, Steven and Sara to unwind after their recent adventures. Format: Full-cast audio drama starring Peter Purves and Jean Marsh published by Big Finish Productions and released December 2016. Setting: The unnamed planet of the Nil, c3900 AD. Continuity: This story takes place between two episodes of The Daleks Masterplan, The Feast of Steven and Volcano and after the other audio adventures set within this gap. Steven mentions being on Mechanus (see The Chase). Steven tells the Doctor that they can't take a platoon of soldiers with them, because it'll be a repeat of the situation with Natalie Lang (see The Anachronauts). Sara remembers her time in 1950's London (see An Ordinary Life). Discussion: It's very difficult for the Early Adventures to use returning villains, because they're usually constrained by some sort of continuity issue. Yet, the Sontarans presented a unique opportunity. In The Time Warrior, the Doctor is very familiar with their race, implying that he's encountered them at least once in the past. Therefore, it was almost an inevitability that one of The Early Adventures would deal with the Sontarans. They allow the range to use a well established foe of the Doctor without any issue with companions or the Doctor not recognizing them later on. 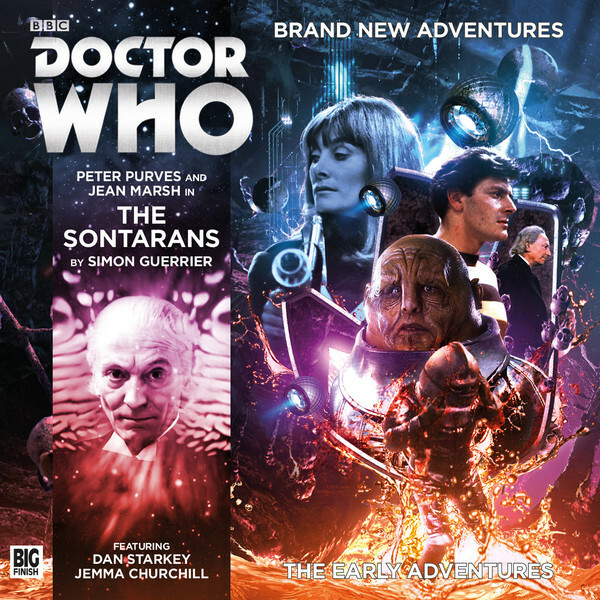 I'd have preferred it if they'd chosen an early gap just to maximize the potential number of Sontaran stories with the first Doctor, but this works out ok.
As usual, I'm not a big fan of Simon Guerrier's continuity. He seems to think that pretty much anything that happens in outer space happens all at the same time. So here we have a story that's clearly set late in the 4th millennium between the fall of the Earth Empire and Sara's time of 4000 where humans are almost completely ignorant of the Sontarans, even though they've been fighting them for centuries. It's also weird that the Sontarans act like they know next to nothing about the humans. Yes, the Sontarans are a military race, but they have to know b this point that that's more or less unusual in the cosmos. Lots of races that they encounter have a civilian population and have people that go from one to the other. Yet, here, the Sontarans can't believe the entire concept regardless of whether or not they know enough about human culture to know that that's normal. It's also annoying that the Doctor acts so completely ignorant of the Sontarans. He's already supposed to have met them at The Armageddon Convention by this point, and it's really unnecessary for Guerrier to insist that the Doctor knows absolutely nothing about them. Yes, it's nice that Sara knows far more about them, putting the shoe on the other foot for once, but having the Doctor remember that he saw a few of them once wouldn't have really changed the narrative. I also don't understand why he included the line about Sara not knowing what a Sontaran looked like with its mask off. Surely in the thousands of years that humanity has been fighting the Sontarans they've been able to find at least once body and surely a security officer like Sara would have been informed of all the different types of alien threats that she might encounter. It's an annoying slight on an otherwise fairly strong story. What's really great about this one is how implacable the Sontarans are. A lot is made about the invulnerability of Sontarans in other stories, but here they're actually portrayed as invulnerable. They jump down hundreds of meters of volcanic shaft and land in magma and crawl out again. This makes them terrifyingly dangerous. It's also neat that they're studying human psychology with shades of The Sontaran Experiment. Sometimes the Sontarans are portrayed as completely monolithic and unchanging. Here, we're presented with Sontarans that wish to improve by incorporating any trait from another species that will make them better at warfare. This gives them a new dimension that makes them a lot more interesting to hear about. There's also a nice twist where the Doctor saves the lives of the colonists by convincing the Sontarans that the fact that they can't shoot back makes it so unchallenging as to not be worth the effort. I also like that at the end of the day, it's the Doctor who defeats the Sontarans, outsmarting them and leading them to a fairly brutal fate. It's the kind of thing that the first Doctor would have done with reservation, and it's nice to see Guerrier play with that aspect of the character again. Another really interesting thing that Guerrier added was the fate of Pappas. Sara knows that when humans investigate in a year that they find nothing alive. Yet, there's a whole civilization of Nil on the asteroid. Sara sees that as proof that they must all be wiped out. Gage sees it as hope that they find a way to escape. It's a nice point about point of view with time travel, allowing the gaps in knowledge to work for you instead of against you. It was a neat point, and I was glad to see it used in this story. Of course, Guerrier's real strength is in characterization rather than plotting. This is also where his continuity shines. I've already mentioned how he gets the Doctor with the right amount of ruthless cunning. There are also some nice moments for Steven. Most writers just mention that Steven was on Mechanus to check a box. For Guerrier it's an important character point, one which the Sontarans latch onto, so that they and we can better understand Steven's character. There's some development of Sara as well, showing that she's changed while traveling with Steven and the Doctor and explaining why she seems so different in episode 8 of The Dalek's Master Plan than she does in the preceding episodes. There's also some nice narration about how Sara so easily slips back into her old life when working with Gage. She enjoys the combat and she works fluidly with a fellow soldier. It's foreshadowing what's to come with her character and helps to highlight the tragedy that even though she may have come a long way with the Doctor and Steven, she's still fundamentally the same person that she has been from the beginning. One thing that I really want to highlight on this one is how absolutely wonderful the music is. Big Finish typically has good sound design and background music, but this time they've outdone themselves. There's an eerie quality to the music here that helps to highlight the unusual and unexpected element so the story. It gets mixed in with an the powerful beats that represent the implacable Sontaran foe. There's a back and forth between the two musical elements that indicates the mix of the two elements, and it's really quite wonderful to hear. The sounds are also good with various laser blasts, explosions, the sounds of electrocution all standing out. The performances are also great. I've taken Ken Bentley to task before on the Early Adventures, since it seems to me that his have been average at best. Until now I've only really enjoyed the ones directed by Lisa Bowerman. Yet, even though I wasn't a fan of An Ordinary Life he does seem to have a penchant for directing Steven and Sara stories. The Anachronauts also had some fantastic performances, and he brings out the best in Purves in Kingdom here. Marsh sounds better than she has in years. Although she's obviously aged since 1965 she gives a far more energetic and nuanced performance than she did in An Ordinary Life. Purves still shines, being a master of narration, but also giving great performances as The Doctor and Steven. His Doctor still seems a tad to impish for Hartnell but he's able to give a really varied performance in a voice that's pretty far removed from his own. Of course, he benefits in that his regular voice hasn't aged much, so his Steven sounds really good as well. It's always great to hear these two titans on audio. I'm just worried that with this story being obviously intended to lead directly back into The Daleks Master Plan that Big Finish must know something that we don't, and that this might be the last story that they do with Marsh. Recommendation: A fantastic story, using the Sontarans to great effect and giving them a fantastic first outting with the Doctor. The performances are top notch and the music has never been better. The continuity is pretty awful, which keeps it from getting a perfect score but otherwise it's a pretty gripping yarn. I recommend listening to it. Format: Short story audiobook narrated by Peter Purves. Published by Big Finish Productions and released September of 2015. Setting: The alien world of The Ether in an unknown time. Continuity: This story takes place between The Time Meddler and Galaxy Four. There's no indication of when it takes place with regard to other stories set in the same gap. 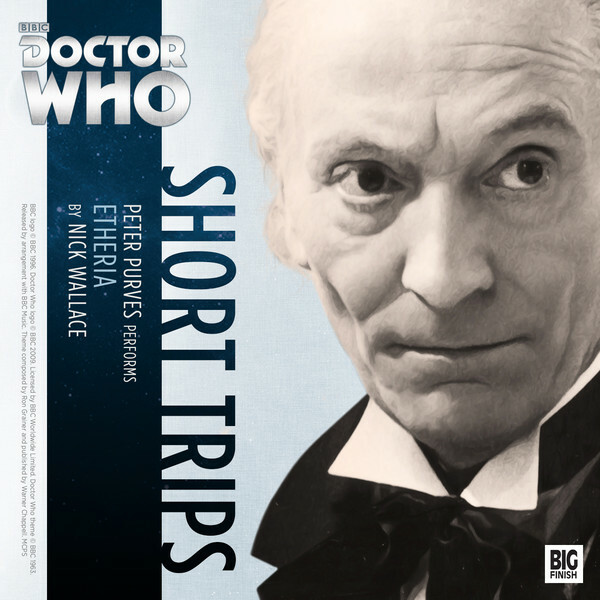 Discussion: Etheria is another short story read by Peter Purves for Big Finish. The Doctor and Vicki are on a search to find the TARDIS and Steven as they wander through the Etherlands. The Ether found in this area acts like a psychotropic drug, causing distortions in perception. It gets so bad that people have to tie themselves to the ground when they're ready to sleep for fear that they may sleepwalk away and get killed. Thankfully, they have a native guide, Thaylar, to guide them through this area, but the Doctor suspects that he may not be what he appears. There are a lot of great ideas in this story, but it's a shame that they're killed by the glacial pacing. It shouldn't feel like a long slog to go through thirty minutes of story. Just like Wallace's ironically named The Age of Endurance this story really tests the stamina of the person listening to it. I had to re-listen to the story three times just to get what was going on, because I realized that I'd stopped paying attention and was already at the end. It seems almost like the writing tries to create the same sort of mindless apathy as the Ether. If it's by design then it's a clever piece of work, even if it doesn't say much for the enjoyment of the audience. The thing is at the end, the story doesn't make sense. The listener is wondering the whole time how the Doctor and Vicki made their escape and how they're sure where the TARDIS or Steven are in this vast, psychedelic wilderness. It's explained at the end, with the most ridiculous idea of all. Their guide, Thaylar, is actually Steven, and they're going through a drug addled gauntlet meant to sap their will. While I can believe that with the presence of drugs that the Doctor and Vicki may not recognize Steven, the idea that Steven himself would somehow believe that he's someone else just doesn't make sense. They've altered his senses, not his memories. The resolution when it comes is also swift and unsatisfactory, making the pirates faceless thugs who are easily defeated and apparently left to die. The first Doctor wasn't above a little brutality, but this seems bad even for him. The sad part is that the production itself is excellent. As usual, Purves delivers a wonderful first Doctor. His performance as Steven is brief, but excellent when it makes its appearance. His presentation as always is superb. This is a man who knows how to do a dramatic reading. It's just to bad that he was given so little to work with in this one. If there's any flaw to his performance it's Vicki. Perhaps Purves has been doing the voice for Dodo for to long, because his Vicki sounds indistinguishable from Dodo, and they are not supposed to have this same accent. It's not awful, but it is very distracting. The music and sounds are minimal, but used to good effect. There's a sequence when the Doctor starts to work out what's going on and the music starts getting a discordant quality that works really well. Recommendation: The cure for insomnia, Etheria will make you wonder how much of it is story and how much of it is really happening to you while you're listening to it. There are some wonderful ideas, but the pacing makes the whole thing incredibly boring and difficult to listen to. I don't recommend listening to it. Blurb: When the TARDIS lands in a house in Florence, Italy in 1514, it isn't long before the guards of Guiliano de Medici arrest Steven and Vicki. To rescue them, the Doctor has to employ the help of the house's owner - one Niccolo Machiavelli. But can he be completely trusted? Format: Full-cast audio drama starring Peter Purves and Maureen O'Brien published by Big Finish Productions and released November 2016. Setting: Florence, Italy, Earth in the summer of 1514 AD. Continuity: This story takes place between The Time Meddler and Galaxy Four and sometime after the audio story, The Bounty of Ceres, but before the novel, The Empire of Glass. Discussion: A lot of people nowadays don't dip back all of the way in the series to the Hartnell era. Those who do, generally seem to watch An Unearthly Child to see where it all started and then decide that they understand what the show was like back then. Therefore, a general narrative has grown up around the series that Troughton introduced humor to the show. This of course ignores the comedic touches that Hartnell added to his character, which is evident as early as The Daleks. The humor really got ratcheted up when Dennis Spooner joined the series. As a writer, The Reign of Terror combined serious tension and drama with humorous situations. Then, he took over as script editor and the humor became far more overt. It's clear that The Romans was written as a comedy, and The Time Meddler is only slightly more serious. The Ravelli Conspiracy belongs in that august assemblage of stories. Here's the thing that I absolutely love, there was no hint at all that The Ravelli Conspiracy was going to be anything more than a standard historical. Generally, the expanded universe has taken historicals seriously, with only Gareth Roberts' The Plotters going for an out-and-out pure comedy ala The Romans. The Ravelli Conspiracy seems to fall more in the middle, tonally sharing more in common with The Time Meddler than any other Hartnell stories. There's real danger present, but nothing about this ever seems tense or menacing because the main players all seem "in on the act" and are prevented from ever being truly scary. There's also a parallel between The Doctor's relationship with The Monk and how he interacts with Machiavelli. Both times they're two men that recognize the intelligence of the other and enjoy scoring points against each other. It's fun to watch and the central question of both stories is if the Doctor will give his foil their comeuppance and how that will come about. One of the interesting byproducts of the story is the examination of something that's central to Doctor Who lore, the overly elaborate plot. Whether it's the Master or just a mad scientist, Doctor Who villains seem to revel in plans that seem raving mad to anyone viewing the story. In The Ravelli Conspiracy that's the point. At one point someone asserts that they've been "quadruple-crossed" and at that point in the story the assertion makes total sense. It's mad, but it's meant to be mad and in such a way that the madness makes sense. Kahn and Salinsky were cognizant of the fact that Machiavelli always craved real power, but never really achieved it. That not only supplies the historical educational element that Hartnell stories are supposed to have, but also gives the dramatic thrust and reason for the story. The characters are just the right mix to bring about the humor in the story. Machiavelli takes the central stage as the weaver of plots as he schemes to get into a position of power. Mark Frost does a wonderful job in the role, having a velvety voice that seems made for convincing others to do what he says and playing such an over-the-top role so seriously that it can't help but be funny. Equally important is the double act of Jamie Ballard's Guiliano and Robert Hands' Pope Leo X. The two brothers have opposite temperaments with Guiliano being a murderous tyrant with paranoid delusions of plots against his family while the Pope is a hedonist, more interested in the arts and fine dining than in listening to his brother talk about conspiracies. Ballard plays Guiliano with the gusto that a role like that requires, able to unleash the frenzied tirades when they're required. He's capably foiled by his brother. Hands plays the pope with an effete sensibility. Although he disapproves of his brothers' tyrannical nature he acts more like someone who's just bored with hearing the same speech over and over again rather than someone who'd disgusted by brutality. He is quick to point out that his power supersedes' his brother's authority as Captain-General of Florence when it's a matter that effects his own interests, but he doesn't interfere beyond that. His fascination with the TARDIS as a work of art is reminiscent of the famous John Cleese scene from City of Death as he attributes all manor of virtues to its design. It made me laugh because it sounds so much like the kinds of commentary that I hear from art aficionados that seem more about justifying their own interests than in pointing out anything that anyone would actually enjoy in viewing a work. With the two brothers so polarized, many of their interactions become incredibly funny as each undercuts the other and each has plans to make his brother see his point of view. The regulars are still bringing the same energy to their roles as they were fifty years ago. Honorable mentions goes to Maureen O'Brien this time as Vicki becomes centrally embroiled in the plot. She catches the Pope's sympathies as well as his eye, his brother accusing him of having a "crush". O'Brien plays Vicki with the gusto that she did on TV. This is the same Vicki that tried to poison the Emperor Nero, and Vicki doesn't mind getting embroiled in the center of the plots if she effect a good outcome and find Steven and the Doctor. Although I've never had much time for Vicki, here she's charming, willful, and fun. Peter Purves is still amazing as Steven. Steven doesn't get a very good showing here, but that's typical for the early point in Steven's time on the TARDIS when he was basically a headstrong thug. His Steven doesn't sound all that different from when he did fifty years ago, though, and it's always a joy to hear him play the part. His narration is always top notch as well, his skills as a presenter preparing him for making the straight reading of lines sound interesting. My one issue is with his Doctor. As time moves on he seems to be making the man more impish. While the Hartnell Doctor certainly did have his Yoda-like side, it was one of many facets. When it's time for him to get assertive or serious, Purves' Doctor falls apart. He sounds weak and ineffectual, and it seems to be going further in that direction as time wends on. Hartnell's Doctor could turn on a dime, going from the delightful old scamp to a force of nature, and it always disappoints me that with Purves we only get half of that character recreated. The cast is rounded out Olivia Poulet's Carla and John Bar's Guard Captain. Carla's a fanatical true believer that the Medici's are a scourge on Florence and will stop at nothing to see them ousted from power. Poulet certainly gives a capable performance. She's fierce, headstrong, and single-minded. Her penchant for talking to people with their full names is reminiscent of Leela and tends to give more weight to her conversation as her dialog sounds more like a series of pronouncements than a discussion. The Guard Captain is a hilarious anachronism. While most everyone in the story speaks a very precise form of English known in British acting circles as "RP", the guard captain speaks with an estuary (lower-class urban English) accent. For a story taking place in England, that accent would be fitting for any kind of a blue-collar role. For this, it automatically makes the guard captain sound funny. Even better, the character seems so put-upon by all the goings-on around him. He worries about escapes from the prisons because of all the forms he may have to fill out, and of course there's the threat of death for letting a prisoner escape. Yet, he's more concerned about the forms than the death. He makes for a lovely diversion and while his accent makes him feel out of place the delivery and writing is so well done that it somehow works. From the production standpoint, it's Big Finish as always. The music is beautiful. Some have mentioned that it's overused, and that's probably fair, although certainly not as overused as the music on Domain of the Voord. Yet, the faithful reproduction of renaissance era music with the use of harpsichords, harps, viols, flutes, trumpets, and probably a half dozen instruments that I can't identify is wonderful to listen to for its own sake. It also helps add feeling to scenes as the music varies from playful in the light-hearted scenes to elegiac as things get darker and more serious. Thankfully, they do provide a music suite as an extra at the end of the first disc that allows you to enjoy this music. On the sound side Big Finish creates a full reality with sound. There's the clanking of keys, the crash of a wine jug, the footfall of horses, the sounds of a fight and struggle and many more that aid the listener's imagination in creating the world of the play. It's incredibly well done and it makes it a joy to listen to the production. Recommendation: Reveling in Hartnell's comedic legacy, The Ravelli Conspiracy is a throwback to the days when Dennis Spooner ran the series but falling short of an outright farce. Machiavelli's reputation and legacy are examined, and the series' penchant for overly elaborate plots is poked at in a way that makes the story both fun and informative. Viewed independently, several of the story elements don't work, but the whole thing hangs together because of some fantastic performances, direction, and music elevating the material to a truly fun, comedic romp. I definitely recommend listening to it. Blurb: The Doctor, Ian, Barbara, Vicki and Jospa land the TARDIS on the homeworld of the Arunde. Emerging into the jungle that covers the planet and encountering the strange wildlife dwelling within, the travelers are unaware that the true rulers live high above them in the trees. 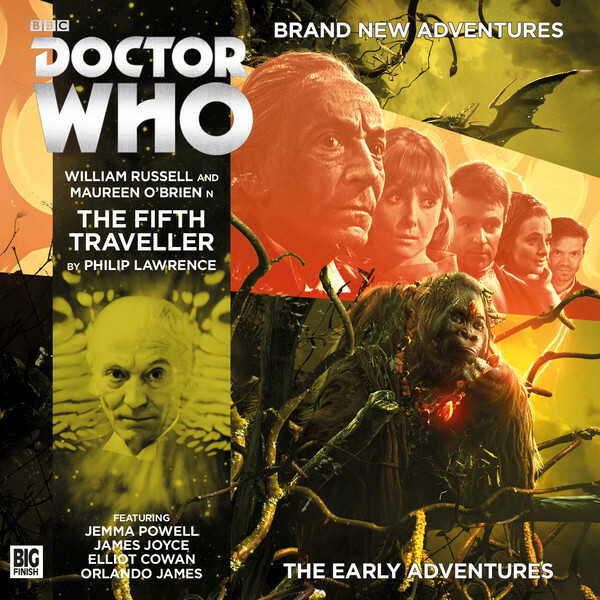 Format: Full-cast audio drama starring William Russell and Maureen O'Brien published by Big Finish Productions and released October 2016. Setting: The unnamed homeworld of the Arunde, time unknown. Continuity: This story takes place between The Web Planet and The Crusade and prior to the audio stories The Dark Planet and The Rocket Men. Ian refers to the times that Jospa helped them in Byzantium (see Byzantium! ), Rome (see The Romans), China (see The Eleventh Tiger), and Vortis (see The Web Planet). Vicki refers to the fact that she's an orphan (see The Rescue). The Doctor muses on being able to visit Susan again (see The Dalek Invasion of Earth). Discussion: Ok, time for a show of hands here. Who bought into the whole fifth traveler idea? I've got to say that even before I heard the first second of this drama, I had Jospa pegged for a spy of some kind. Of course, having not heard the story, I didn't know anything about the Vividic Empire. I assumed that Jospa was probably one of the apes who was somehow able to make the travelers think that he was one of them. Of course, once the opening sequence showed that they were fleeing Vividus, I immediately clued into the fact that that was who he was working for. It didn't help that he just happened to have a device that he wanted to have the Doctor connect up to the TARDIS to control the ship. There were little things, such as his not knowing when and where Ian and Barbara were from even though Jospa was ostensibly also from Earth. There was also his strong reaction to the Doctor going exploring, which seemed a bit odd. To Philip Lawrence's credit he tries to do his best to cast doubt on any preconceived suspicions. Big Finish has added companions in the past, even to the first Doctor's era. Lawrence capitalizes on that by ensuring that no details are given about Jospa early in the story. Since this story takes place in a gap between two television stories, it's possible that they picked him up in that same gap and this is only the third adventure that they've had with them. Of course, it all starts crumbling down once someone mentions that he was on Vortis. At that point it's impossible for Jospa to be anything other than an infiltrator into the group, but that doesn't happen until the third episode. It's pretty amazing that Lawrence was able to keep it going for that long. The Fifth Traveler seems like a mix of Edgar Rice Burroughs, 100,000 BC, and the New Age movement of the sixties. I honestly thought for a moment that Ian was going to say, "Remember, Gark is not stronger than the whole tribe." The Arunde are a neat concept. They're a primitive species of jungle-dwelling telepaths. Lawrence does a good job of trying to think of how these alien apes would perceive life and peppers their language with metaphors that explain the Arunde's world view such as their perception of gravity as "The Ground" reaching up and grabbing things down to it. He's not in the same class as Paul Leonard who seemed so adept at creating aliens that seemed truly alien, but Lawrence at least put me in mind of Leonard. Less can be said of the Vividic Empire. Science fiction is chock full of oppressive regimes that heavily pollute their own worlds and are bent on conquest. The idea of psychic spies who weave themselves into their targets' minds as an ally is interesting, but the rest is stock b-grade stuff. Still, that isn't such a big deal for a story like this because the Vividic Empire is only around to give some background context. The travelers only spend a few minutes there in the actual production. Unlike most of the Early Adventures to date, this story doesn't drag. I think a large part of that can be laid at Lisa Bowerman's door. The Bounty of Ceres didn't drag either, and that was the only first Doctor Early Adventure that's been able to keep up its pace. I think that Bowerman just understands how to do a first Doctor story with all its explorations and science discussions while also making it an interesting adventure story. As much as Ken Bentley does a great job with some of the other ranges, I have a feeling that he's not to keen on the Hartnell era and as result his stories are VERY low energy and something of a chore to get through. The one thing that I thought was off from a directorial angle is that Ian and Sharna's conversation seems as if they each understood each other even though moments before they'd just said that they don't understand each other's language. The plot may not be the most complex to date, but it doesn't need to be. If anything, this story needs to be typical, because it's about the presence of the eponymous fifth traveler. The story is a vehicle to explore the character of Jospa and how he relates to the crew. It's only after we've experienced the group with Jospa that we begin to learn more about him and the story starts moving towards its conclusion. It's also why the characters all have to be spot on to their television characterization. Vicki even names the Vividic control module "squishy", which is classic Vicki to a "tee". The interesting part, though, is to see how Jospa effects the dynamic. Yes, there's a power struggle that's highly reminiscent of the 100,000 BC portions of An Unearthly Child, but the real climax of the story is when the Doctor and Jospa confront each other in the TARDIS. There were only two things that I had a problem with. First, we're told that Matriar's can't have a mate. Yet, Sharna is the daughter of a Matriar. How does that happen? Maybe the Arunde reproduce in a way far different than anything that we can imagine, or maybe the Matriar adopts, but it's something that should have been explained. The second is that Jospa basically propositioned Vicki to settle down somewhere with him. Yet, this story references Byzantium!, which states that Vicki is fourteen years old. While society's standards about this sort of thing change, you'd think that she'd be to young for that sort of thing and would say so. Sure, she leaves to get married in The Myth Makers, but that's about a year on in her personal timeline at least. It doesn't help that Maureen O'Brien didn't even look fourteen. [Spoiler (click to open)]Of course, if Jospa really has risen through the ranks of the Vividic military then he has to be far older than fourteen. Is his telepathy so good that the travelers perceive him as a fourteen-year-old even though he must at least be in his twenties? And was tempting Vicki with being his lover really the best temptation he could think of for a fourteen-year-old? It seems a little odd. The performances are mostly good and guest actors Kate Byers, Elliot Cowan, and Orlando James deserve special credit as the Arunde. Kate Byers especially brings a hesitant warmth to Sharna, a maternal figure coming to grips with her responsibilities and unsure if she can fill them. Elliot Cowan plays Gark as a sulky, brooding figure rather than as a brutish bully that one might expect a dominant ape to be, yet it makes so much sense for his character, still young and unhappy in the society in which he lives. James Joyce also deserves special mention as the fifth traveler, Jospa. He's a fun loving, happy-go-lucky, energetic young man. Yet, Joyce displays a pretty full range in this, being able to sound incredibly nasty when the need arises and making him a fairly memorable character. Maureen O'Brien doesn't disappoint as Vicki either. She's still got all that youthful charm and energy. It's clear that O'Brien loves working with Joyce. The chemistry is real. O'Brien also does a find job narrating. While she's not in the same class as Purves or Russell in his prime, she's one of the better narrators and it's nice to listen to her using her current natural voice and describing scenes. Unfortunately, it's clear that age has taken its toll on William Russell. His Ian and Doctor voices are distinguished far less and sometimes its hard to tell which one is speaking. His Doctor sounds incredibly tired all the time, and he's no longer able to make Ian sound all that youthful. Jemma Powell also does not impress as Barbara. Her performance here is better than in The Age of Endurance, and it appears that with a larger part that she's growing with the character. Yet, unlike Tim Treloar or Elliott Chapman, she doesn't sound a thing like Barbara. There are times when she seems to get the right vocal rhythms, but she sounds far to young and light to be Barbara. It's unfortunate, because it was necessary to add someone to play Barbara so that the writers didn't feel like they needed to write Barbara out of every story, but Powell just is not all that strong in the role. There are a lot of great sounds in this one. There are strange beasts in the jungle as well as the regular background sounds that you might expect in such a locale. There's rain, squishy sounds from the Vividic control module and all kinds of things. The only thing that disappoints are the canned ape sounds used in conjunction with the Arunde. They just don't match up well with the characters making the sounds, and it's clear that they come from some kind of documentary material. The music, though is excellent. There's a whole suite of music composed just for this story that is included as an extra. There are a lot of instruments that one might find in a jungle setting, but there's also some sixties Hartnell era mood music. Recommendation: On one hand, the story's maguffin is obvious, but writer Philip Lawrence deserves credit for making it just about believable that a fifth person somehow shows up in the season two TARDIS team. The Arunde are a neat sci-fi concept that work well. The story keeps its pace and the characterization is spot on. There are a few plot issues and the direction for how the canned ape sounds interact with the voices doesn't work, but overall the story is very good. I recommend getting it. Blurb: The TARDIS materializes on board a still and eerie spaceship. When a squad of soldiers land, they realize they've found themselves in the middle of a war zone. With one of their crew trapped by the enemy, the Doctor and his friends find themselves locked in a desperate race for survival. Vast warships manoeuvre around each other as both sides try to out-think their opponents, flying into ever more dangerous areas of space. Format: Full-cast audio drama starring William Russell and Carole Ann Ford published by Big Finish Productions and released September 2016. Setting: The spaceships Vanguard and Endruance in an unknown star system, time unknown. Continuity: This story takes place between The Reign of Terror and Planet of Giants. There is no indication of where it fits in relation to other stories within the same gap. Everyone is familiar with the concept of the TARDIS landing on a moving object (see The Sensorites). Discussion: Someone really likes the idea of the original TARDIS crew in naval situations. On the one hand, it's kind of funny. Domain of the Voord has the time travelers arriving on a planet made mostly of water and about half the story takes place at sea. This story while set in space uses a lot of naval terminology with the spaceship analogous to a submarine. While it almost certainly isn't a deliberate move, it does seem odd that the Powers that Be who commission these stories didn't notice it and perhaps assign this story to the season 2 crew instead of season 1. On the surface, The Age of Endurance is a story about the war between the humanoid Lastborn and the reptilian Shift. The Shift have the advantage of being able to morph their skin into a variety of textures that can make them invisible or give them armored hides that are impervious to laser fire. Yet, the story is actually a little deeper than that. It's the classic sci-fi trope of pushing the edges of science to far. The Lastborn gave themselves artificial bodies that could ostensibly allow them to live forever, but did so at the cost of their humanity. They performed genetic experiments on the Shifts remaking them in their image, but in doing so created a "superior" race that dominated them and forced them into menial labor. It's through the creation of organic beings again that the Lastborn gain absolution and regain their "humanity". It's schlock b-level sci-fi, but that's perfect fare for the Early Adventures, who's mandate is to create stories in black and white. On that topic, one shout-out that I wanted to give was that they even used scienctific terms incorrectly in the story, just like they would in a 60's Doctor Who serial. The term "galaxy" and "solar system" was used interchangeably, which was so common in those first few seasons of Doctor Who. The solar system that the Lastborn live in is completely closed off from the rest of space. Yet they mentioned that there was a cosmic incident that effected their entire galaxy. There was no way to know that isolated in their solar system, so they must have meant solar system. I just thought it was clever that they worked that in there. I also like that the engines are mostly mechanical with a lot of loud pounding piston noises. Most of the technical jargon seems more in-keeping with a 1960's perspective than a 21st century one and that was greatly appreciated. From a cast perspective, the performances were overall serviceable, but not spectacular. Carole Ann Ford was a real delight. She alternated easily between her narrator voice and her voice as Susan. I continue to be impressed by her ability to sound like a fifteen-year-old on command, especially when she has to alternate with her regular voice. William Russell is doing amazingly for a 91-year-old man. He continues to be able to convey the strength and presence of Ian Chesterton, and although his narration was diminished in this story he still did a wonderful job narrating when he needed to. If I have any concern it's that his performance as the Doctor continues to deteriorate, a trend that I've been noticing since The Dark Planet. His Doctor now sounds incredibly hoarse and week. While part of that was story-driven, one wonders if that wasn't put in to mask Russell's difficulty with playing the part. Still, there isn't much that you can do about that. The man is still doing better than so many his age, so it's still quite a feat. I just suspect that we'll be seeing a full recast of the first Doctor before to long. The other voices are serviceable, but not memorable. Rachel Atkins' Myla is just your generic tough female commander. John Voce's Toban is strong soldier. Gethin Anthony's Olivan and Andy Secombe's Benya are such generic junior officers that at times its hard to tell which character is which. The story doesn't help much in that regard until Olivan's secret is given. Neither does much to really distinguish themselves and it's hard to remember which name applies to which one. Tom Bell gives perhaps the most prominent performance as Arran and the other Shifts, but it left me wondering if they'd gotten Darren Strange back to reprise his role as The Butcher from The Sleeping Blood. It was the exact same voice, which is basically just a deepening of the actor's natural voice to make them sound like a goa'uld from Stargate. It unfortunately, didn't really give him much room to actually act as the character, since the electronic effect dominated his voice, and it seemed like a strange choice in the first place. One imagines the Shift's looking like armor-plated velociraptors. When they reveal themselves they're given a hissing sound effect that like someone put the microphone up to newly-poured soda and then dropped the sound a few octaves. There's a lot of hissing in that sound, but when the Shift's speak they sound perfectly normal except unnaturally deep. There's no hissing or anything that'd actually identify them as reptilian at all. It seems a really weird choice and really works against trying to create the reality of the situation. 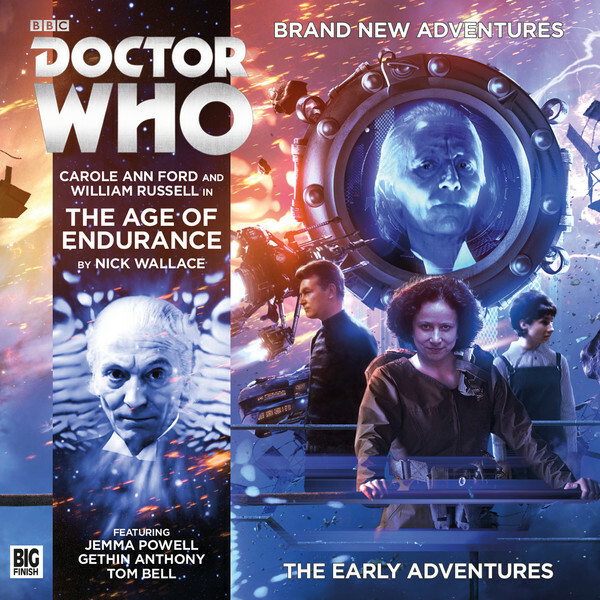 The big deal is that Big Finish recast Barbara Wright as Jemma Powell following Powell's performance as Jacqueline Hill in the An Adventure in Space and Time documentary. The problem that I always had with that casting is that Powell had maybe a half dozen lines as Hill, and she never really sounded much like her. But seeing the success of Elliot Chapman and Tim Treloar as recast Doctor Who characters, I was curious to see what she'd do. To say that I was underwhelmed is an understatement. While Chapman and Treloar obviously studied the performances of the actors who they were replacing, Powell's response to playing the role of Barbara is to read the lines as if she's seeing them for the first time. It's a slow, precise performance with absolutely no inflection. I'd say that she was doing a better job of playing Ben Stein than she was playing Barbara Wright. I know that others have said to give her time, but Chapman and Treloar hit the ground running with these parts. I get the feeling that Powell isn't paying the same respect to the character, and I honestly blame David Richards for doing stunt casting with a name that would be familiar rather than finding someone who could truly emulate the warmth and presence of Barbara Wright. The pacing is slow, but that doesn't feel that out of place for a story that's trying to emulate season 1. The first episode really hearkens back to those days when the crew could explore and figure out where they are for most of that first episode, and it gives the story some time to breathe and gives the regulars a chance for some character interaction. The rest of the story is the cat-and-mouse game from The Wrath of Khan dragged out for three episodes. There's some intrigue and some action that keeps the story from getting to glacial, but there also isn't anything to exciting or memorable other than Ian teaching the Lastborn to use the currents inside the storm for speed and his spacewalk when those same currents could rip him from the ship. My first real issue with the story structure is that once again two regular characters are removed from the story for a time. I'd hoped that this nonsense would stop after the first season and the negative reaction that similar moves caused, but it is here on full display. Yes, sometimes in the original series the cast could go on vacation for one or two weeks at a time, but it was never this often and never would they have allowed two regulars to be gone at the same time. Here the Doctor is gone for a single episode. While that's still better than most of the previous Early Adventures, it still grates because Barbara is gone for two and a half episodes. While the need to write the Doctor out may be due to William Russell's health, there's absolutely no reason to write Barbara out, since it's the only part hat Jemma Powell has to play. While it's possible that this story was written with the idea that Carole Ann Ford would double up as Barbara and that may have been the reasoning behind writing Barbara out, it really makes no sense. Both Russell and Ford are used to doing Companion Chronicles where they have to play far more roles than they do here. If they want to write a single character out then fine, but two is just to much. It also makes it more difficult for Ian and Susan to sustain so much of the story by themselves. If it's to much for William Russell to double as the Doctor and Ian for four episodes then they really ought to consider recasting the first Doctor as well. My second issue is that the story just ends. Ian and Susan are talking and suddenly the ending theme happens. There isn't really anything that feels like a proper resolution or ending theme. Even some narration about everyone getting in the TARDIS and having it dematerialize would have been something. Here it just feels like someone yelled cut in the middle of the final scene and they just played in the end theme. As for the sounds, the music this time was really good. Unlike Domain of the Voord it was not overpowering. Yet, it still had the authentic feel that the music for the previous story had. There are radiophonic tunes and real instruments. The music is used for good effect to enhance scenes, especially during the tense chase in the nebula. The sounds, however, seemed very poorly coordinated with the acting. I've already mentioned how the Shift's sound effects don't seem to match their voices at all. There are also lots of issues where the narrator will describe something, there's an awkward pause, then there's a sound effect, then there's an awkward pause and either there's more narration or some dialog that happens. While I realize that they're trying to emulate a CD reconstruction with narration, the problem is that every time these scenes happen the awkward pause is the same length. It feels very artificial. The less I say about the scene where Barbara is put on a scanner, it talks about her writhing in discomfort and we get an unconvincing "oof" after an akward pause, and the move on the better. I'm also not enamored withe last sound effects. When so much effort was made to keep the story and plot in-line with 60's storytelling, having the "pew pew" of laser fire just doesn't fit. Go watch any Hartnell story and the lasers are just a lightbulb with some kind of alarm sound. While a lightbulb obviously won't work on audio, the alarm sound would have been fine and with the narrator describing the action it would have been all that was necessary rather than going for a sound that jarred with the reality that they were trying recreate. Recommendation: It's a Hartnell story-by-numbers. If you're a fan of the era then there's definitely something to enjoy. If you aren't, then there isn't much new here to hold your interest. Carole Ann Ford and William Russell do an excellent job with this story, but some generic voices, and a plot that doesn't really work to develop the characters keeps this from holding a lot of interest and removing two members of the main cast for a significant portion undercuts any momentum that the plot has. The story mostly works at recreating the season one atmosphere and has a real verisimilitude to the sounds, jargon, and plots that would have been employed in the period, but that alone isn't enough to keep this story out of mediocrity. Every single story from the first season of Early Adventures beats this one hands down. I don't recommend it unless you're a huge Hartnell fan.